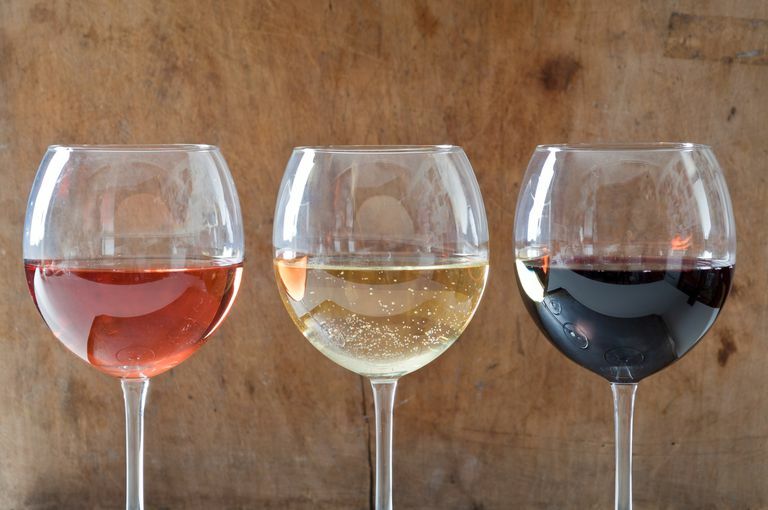 Not all dessert wines and wine coolers contain gluten, but you can't count on them being gluten-free, so always read the label and, if possible, check with the company before drinking them. If you're extremely sensitive to gluten cross-contamination, you may find yourself reacting to certain wines—even wines without additives. You're not imagining your symptoms—there are a couple of other ways gluten can sneak into wine. In a few cases, the culprit will be the use of wheat gluten as a fining, or clarifying, agent for the wine. Since we expect our wine to look clear, winemakers turn to products that can remove any visible particles. These products are called fining agents. Fining agents are made from a wide variety of substances ranging from clay to egg whites and the shells of crustaceans (which is why people with certain food allergies need to watch out for wine). It's extremely uncommon—but not impossible—for a fining agent to contain gluten. If this is the case, the winemaker does not have to disclose it on the label. Though animal gelatin-based fining agents have been replaced by egg white-based agents in recent years (mostly due to an outbreak of mad cow disease in the 1990s), both are inherently gluten-free. In other cases, the culprit in a glutening from wine will be the wheat paste used to seal the wooden wine casks used to age the wine. Again, not all winemakers age their vintages in wooden casks (many prefer stainless steel tanks these days), but if you react to a wine that has been aged in a cask, you may possibly be reacting to that wheat paste used to seal the cask. Whether you're dealing with a gluten-containing fining agent or a wine that was aged in a wooden cask sealed with a wheat paste, it only will add a truly minuscule amount of gluten to the finished wine—perhaps in the range of 1 to 2 ppm or less. Now, this is a tiny amount of gluten—so small that it takes the most sensitive gluten testing methods to detect. And the vast majority of people of those with celiac disease or non-celiac gluten sensitivity will never notice symptoms from it. Very few who react to gluten will notice symptoms from the trace amounts of gluten in wine. Unless you know for certain that you react to certain wines, you shouldn't worry about it. Note that some of these beverages are not sold in the United States. Since manufacturers of alcoholic beverages do not have to list ingredients on their labels, you should steer clear of bottled wine coolers. Hard cider makes a good gluten-free alternative to wine coolers. As an alternative to commercial wine coolers, you can make your own by mixing wine with ice, club soda, and a splash of gluten-free juice. If plain wine gives you symptoms, you first should experiment to make sure those symptoms are not from something else. Glutening symptoms can seem like the world's worst hangover, so make sure you're not mistaking a real hangover for the kind induced by gluten. In addition, some people with irritable bowel syndrome (IBD) find that alcohol, including wine, is a trigger for them. It's also possible to react to the histamine in wine (especially red wine) with symptoms that might mimic your gluten symptoms. You may have to do some experimenting or see a doctor to pinpoint the cause of your symptoms. If you have symptoms due to trace amounts of gluten in wine, you don't have to give up your wine completely. Fortunately, there are a couple of steps you can take. First, you can consider looking for varieties that are aged in stainless steel casks—that solves the problem of the wheat paste used to seal wine casks made from wood. Second, contact individual vineyards to see what fining agents they use. With the growing popularity of the gluten-free diet, more vineyards have become aware of the needs of their gluten-sensitive clientele and may be open with you about their fining agents. Finally, if you find a wine you like (obviously, one that doesn't cause your typical glutening symptoms), buy a case and stick with it. That way, you'll always have safe wine to drink. Marchal, R.; Marchal-Delahaut, L.; Lallement, A. Wheat Gluten Used as a Clarifying Agent of Red Wines. J. Agric. Food Chem. 2002;50 (1):177-84. DOI: 10.1021/jf0105539. Satumi, L.; Ferretti, G.; Bacchetti, T. et al. The Gluten-Free Diet: Safety and Nutritional Quality. Nutrients. 2010;2(1):16-34. DOI: 10.3390/nu20100016.